will go to great lengths to please fans. If you were fighting for your professional future, would you still have time for fans, collectors and signing autographs? I wanted to get word to Pat Neshek that we appreciate his upbeat attitudes about autographs. After my last blog post, I sent a note to his wife Stephanee. 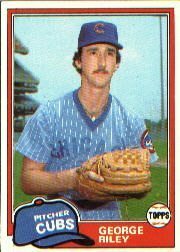 As long as baseball still has a few Pat Nesheks, we still have hope. Matt Tavares is bringing baseball history to a new generation. 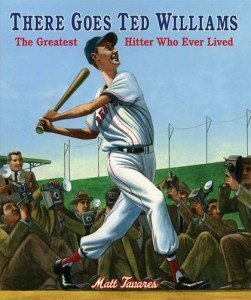 The talented author-illustrator’s latest creation is There Goes Ted Williams: The Greatest Hitter Who Ever Lived (Candlewick Press). I’m thankful to Matt, who agreed to share his own history as a fan and occasional collector. Q: I love your book Zachary’s Ball. How were the Red Sox autographs collected in the book for the First Book fundraiser? 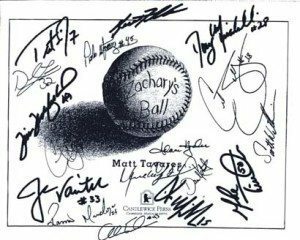 Had you ever tried collecting autographs, in person or TTM, before? A: During the 2004 season, Trot Nixon’s wife was involved with First Book, a great organization that provides books for children in low income families. 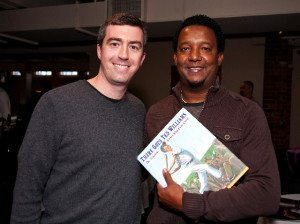 I’m not sure if it was her idea or someone else’s, but I think she basically just asked Trot to pass the book around the clubhouse and have everybody sign it, so they could auction it off to raise money for First Book. I didn’t even know about it until after the book had been signed. Conveniently, the Red Sox went on to win the World Series that year, which made the book even more special. My publisher, Candlewick Press, is also involved with First Book, so they helped out with the auction. It sold for about $2000! Yes, when I was a kid I was a huge baseball card collector. 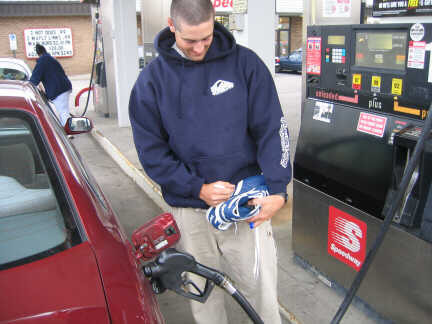 I always brought a baseball and/or baseball cards to Fenway when I went to Red Sox games, and got some autographs that way. 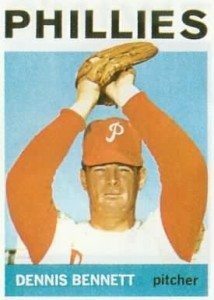 I remember getting autographs from Mike Greenwell (my favorite Red Sox played back then), Jody Reed, Sam Horn, Jeff Reardon… I occasionally sent cards to players in the mail asking for signatures. I remember getting one back from Dave Parker, which was pretty exciting. My favorite autographed item is a baseball signed by the entire 1957 Red Sox team, including Ted Williams. My dad got that when he was in high school, and passed it on to me. I also have two signed Arthur Griffin photographs of Ted Williams, which are amazing. Q: As an illustrator (but someone who might be asked to sign hundreds of in-person autographs at a bookstore or school visit) what were your thoughts of the legibility of Red Sox autographs? A: It is nice when you can actually read the player’s name. Ted Williams had such a beautiful, classic signature (just like his swing! ), as did Mickey Mantle. Pedro Martinez has a nice autograph too. I definitely have some autographs that I can’t even tell who it is. When I sign books I try to keep my name legible, but sometimes it gets a little scribbly. Every now and then I’m asked to sign a baseball, and that’s definitely harder than signing a piece of paper or a book! Q: You mention your Dad in your Author’s Note for the great book, There Goes Ted Williams. What’s your fan history, including Boston games you attended (with him, and later)? These days, living in southern Maine, I go to more Portland Sea Dogs games than Red Sox games. Portland is the AA affiliate of the Red Sox, so it’s fun to follow the Sea Dogs, then when the players get called up to the majors I already know them. Q: For either your Henry Aaron or Ted Williams books, did you correspond with any baseball names (teammates, foes, media, etc.) for your research? A: Most of my research for those books came from reading other books and old newspapers. For the most part, I wasn’t digging up new information about Henry Aaron and Ted Williams. I was just presenting the information in a new way, in a picture book for kids. 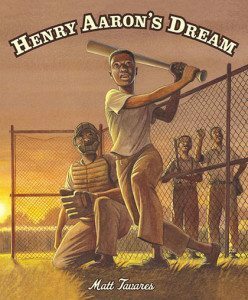 My publisher did contact Henry Aaron early in the project to get his blessing. 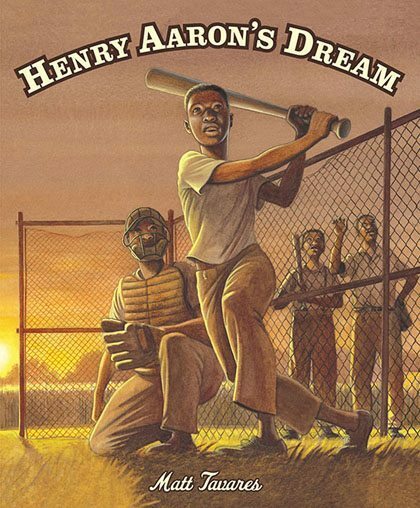 And we did get a letter from someone in the Braves organization saying that Mr. Aaron read the book and really enjoyed it, along with a copy of Henry Aaron’s Dream signed by Henry Aaron. It’s definitely one of my prized possessions. A: Right now I’m working on a picture book biography of Babe Ruth’s early years, tentatively titled Becoming Babe Ruth, due out in Spring 2013, published by Candlewick Press. Coming Monday: How to help a former player in need.